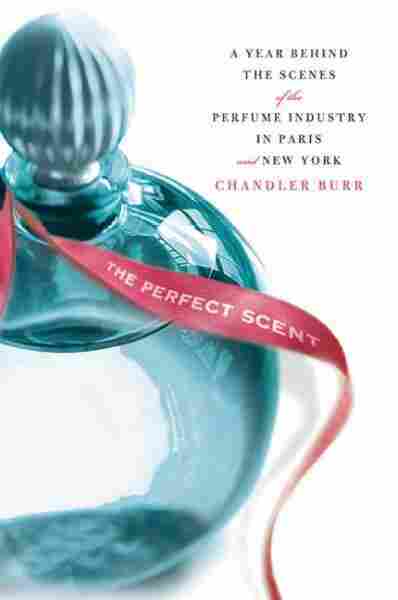 In Search of 'The Perfect Scent' In his new book, The Perfect Scent, Chandler Burr follows the developments of two perfumes: one by actress Sarah Jessica Parker; the other by French perfumer Jean-Claude Ellena. Burr is perfume critic at The New York Times. 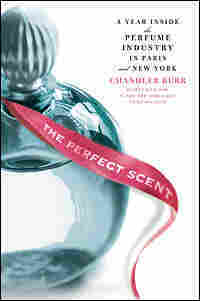 Chandler Burr, perfume critic at The New York Times, chronicles the development of two perfumes in his new book, The Perfect Scent. Bottles of Hermes' Un Jardin sur le Nil (left) and Sarah Jessica Parker's Lovely perfumes, the subject of Burr's book. When Chandler Burr, scent critic for The New York Times Style Magazine, doesn't like a perfume he doesn't mince words. Here's an acid appraisal: "A cologne most appropriately worn by electrical appliances." Or, "This is a scent for a woman who has no taste and absolutely no interest in having any." Burr is enraptured by the two perfumes that he writes about in his new book The Perfect Scent. 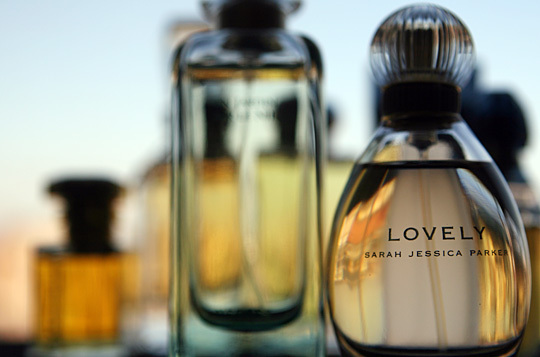 He spent a year inside the perfume industry in New York and Paris following the developments of two scents: one by actress Sarah Jessica Parker; the other by French perfumer Jean-Claude Ellena designed to capture the essence of a garden on the Nile. Burr discusses the book with Melissa Block. On June 9, 2004, just before 5:00 p.m., Jean-Claude Ellena was being driven to a meeting at the offices of Parfums Hermes in Pantin, just outside the peripherique to the northeast of Paris. Ellena was a famous ghost, a member of an elite group of perfumers who create fragrances sold under the names of designers and luxury houses while keeping assiduously to the shadows. But he was just at the point of becoming particularly, and rather extraordinarily, visible to the world. He was on his way to Hermes to submit his first essais, his olfactory sketches, for an important scent he was creating. Paris was enjoying a spell of Los Angeles-like weather. You could look from the top of rue Menilmontant down over the Centre Georges Pompidou's industrial modernism all the way to the Eutelsat balloon floating over the Parc Andre Citroen. In the deep-cobalt summer sky, the cloud of aerosolized filth from the Paris traffic hovered in the blue air. The sun shone brightly. The Parisians walked around wearing black, smoking cigarettes, exhaling ashen fumes into the air, and throwing the butts and packets onto streets where Africans in cotton bleus de travail uniforms swept them into sewers. From his car, Ellena looked out at the bus stops. It seemed as if every single one featured an ad for Chanel's latest feminine perfume, Chance. It was a bit startling. The car crossed an avenue, stopped at a light: Chance. It turned right: Chance. Ellena looked left; from every vantage the publicity image of a wispy blond girl floated spectrally over the round metallic glass Chance bottle. This display represented a breathtaking marketing outlay. If you were in the perfume industry, if you were the competition — say, another immaculate luxury house like Hermes — you might not show any reaction. You might smile, eyes focused just beyond the ads. But you would register them as they slid by your car, this show of Chanel's stunning power, a silken reminder of the might of this billion-dollar titanium luxury machine. The bus ads were not a campaign. They were a statement. "We are here." Their ubiquitousness was profoundly intimidating. This was the intention. Hermes had, in fact, two responses. The first was the three small vials in Ellena's pocket, each containing a pale golden-colored scent. The second was Ellena himself. Across the Atlantic not many months later, at 1:00 p.m. on October 29, 2004, the actress Sarah Jessica Parker arrived at the offices of her agent, Peter Hess, at Creative Artists Agency at 162 Fifth Avenue in New York City. She was there to meet representatives from Coty, Inc., the international perfume licensing corporation, whose headquarters were just up the street. Parker and her representatives would be discussing the final details of a contract for the creation of a perfume that would bear her name. They met in one of the white CAA conference rooms. Along with Hess, Parker's rep Ina Treciokas from the public relations agency IDPR was present. The Coty contingent numbered four, all perfume industry executives and "creatives" (as those in charge of developing a perfume are called in the industry). There was excellent sushi and a big bowl of popcorn, a neat line of drinks, and bowls of ice. Parker was dressed in relaxed style — jeans and a T-shirt — but she was quite alert to the significance of the meeting and to the variables at play. Parker had for years been a star on stage and on screen, but she was as aware as anyone of the risks of attempting to transfer the mercurial, amorphous good of celebrity to other domains. In both a symbolic and a literal sense, she was funding this project with her public equity. 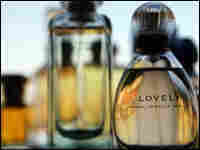 But she had for years wanted to create a perfume — "dreamed of it," as she expressed it eagerly to the Coty team that day. 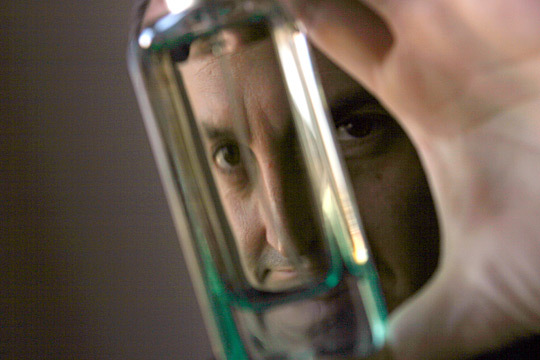 Peter Hess and CAA had been pursuing it for her, making the contacts, talking to the players in the perfume world — the luxury juggernauts like the Lauders and LVMHs, with their brands and labs and marketing armies — and Hess had found the process far from easy; the perfume industry is brutal, and the financial stakes increasingly high. Yet Coty was interested in Parker, and the lawyers — Coty's and the star's — had been working on the contract for many months. It had been a complicated negotiation. Hess naturally shared Parker's concerns. Were she to give Coty the license to her name and her public identity, the project would entail years of effort on her part and that of the Coty team that would develop the scent with her, millions of dollars put into the launch and a massive promotional campaign, and the risk of her image and reputation. It would also require of Parker a special, and rather unusual, form of participation. During the development of the scent, she would assume the position known in the industry as artistic director. She would have to guide the perfumers who would build her scent. She would be responsible for directing them toward a precise olfactory representation of an idea of a perfume she already had in her head. Parker had never played the role before — it was the perfumers who understood mixing rose absolute with dihydrojasmonate, not she — and she didn't, truth be told, know exactly what to expect. Copyright (c) 2007 by Chandler Burr. All rights reserved.